Directi Group has launched India’s claimed to be first low cost International is calling application “Ringo.” The company said that it is the first kind of low cost calling app which does not require internet connection for international calling. Though Ringo is convenient for callers, however, carrier companies might feel the heat on rates offered by Ringo. Bhavin Turakhia, Founder & CEO at Directi said Ringo eliminates all the disruptions occur while making international calls and it is very cost effective as compared to other carriers. Turakhia said that by using Ringo, callers can from mobile and landline phones without using data, WI-Fi or carrier minutes. “Ringo is revolutionary in the communication sector in India. It is 70 percent cheaper that most carriers and 20 percent cheaper than Skype or Viber. It is a revolutionary app which provides the freedom to communicate across borders at an affordable cost. There is no monthly fee, subscription and hidden charges”, Turakhia said. On the question that how the company manages profitability after offering low call rates, Mr. Turakhia said that Ringo does not bypass the carriers. “Reduction in call rates allows us to expand the caller base. Call flow allows us to enabled quality in service. Thus its benefits in terms of revenue”, he said. According to calling rates provided by the company, to call in USA, China, the UK and Canada caller requires to pay Rs 1.08 where Skype and Viber charges Rs 1.45 and Rs 1.20 respectively and it costs at Rs 8 on Vodafone and Airtel. Call rates to Singapore, Thailand and Malaysia are Rs 2.69 a minute and in UAE Rs 6.94. 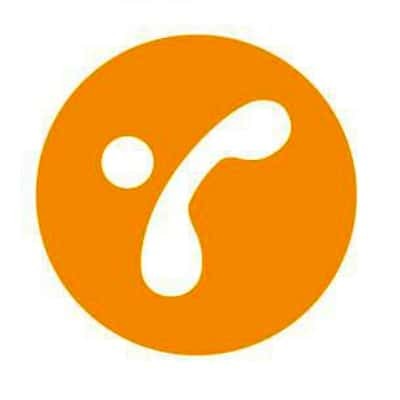 Ringo calls traverse over regular phone networks without using the internet. Before placing consumers’ calls, Ringo checks for sufficient balance. Then the app deducts from the balance in real time when the customer places a call. Consumers can pre-pay anywhere between Rs 25 to Rs 250. According to TeleGeography, over the past 20 years, international voice traffic has grown at a compounded rate of 13 percent annually. In 2012 India originated 20 billion international voice minutes representing 4 percent of the global ISD traffic, making the country the 4th largest originator of ISD calls. Indian consumers spend over $ 2 billion annually in making ISD calls. Ringo is available for free on iOS, Android and Windows Phone app stores. The app is available for free download on the Apple App Store, the Google Playstore and the Windows Phone App store. Consumers can also download the app at Ringo.co. Ringo launches low cost calling app for ISD calls in India 0 out of 5 based on 0 ratings. 0 user reviews.